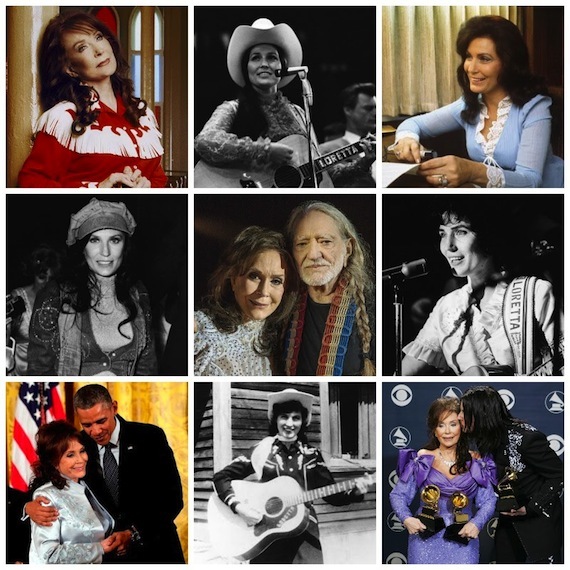 Loretta Lynn through the years. Compiled by Songcraft. An upcoming Nashville theatrical production focuses on the life of country icon Loretta Lynn. Additionally, the revered singer is featured in a just-released podcast. 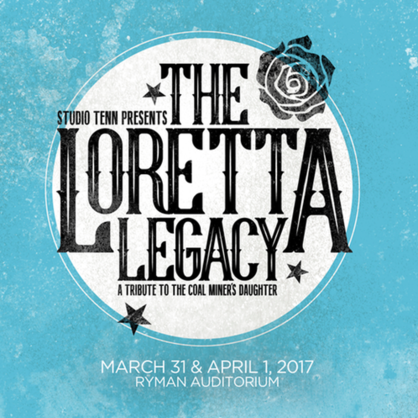 Studio Tenn presents “The Loretta Legacy: A Tribute to the Coal Miner’s Daughter” on March 31 and April 1 at the Ryman Auditorium. The shows are part of the 2016/17 season. Single ticket sales for the remaining season will be available for purchase Dec. 2. Tickets for “The Loretta Legacy” can be purchased at ryman.com or by calling (615) 889-3060. Details at studiotenn.com. Grammy-nominated writer and researcher Scott B. Bomar and ASCAP award winning songwriter Paul Duncan have released the 50th episode of their bi-weekly podcast, Songcraft: Spotlight on Songwriters, featuring an in-depth conversation with Lynn. The conversation includes Lynn discussing why we’ll never hear all the verses she wrote for “Coal Miner’s Daughter,” what she told Jack White about songwriting that he didn’t “get,” what she really thinks about Willie Nelson, how she reacted when her songs stirred up controversy, and why she doesn’t give career advice.